So, day five: the final day! I really didn’t want the course to end – I could quite happily have done 5 more weeks of it, never mind 5 days – but I reckon my back wouldn’t have taken it for much longer. This is the precise reason I’m going to save up for a) a new house with a big spare room so that I can b) buy a lovely Horn cutting table. First thing, I made up the muslin of my trousers, which fitted perfectly (surprise!). They are quite high waisted, but this is how I like my trousers. I don’t know about you, but I get really paranoid about bending over and potentially showing a massive (and I mean massive) builder’s bum to the world. I also find low waisted trousers massively uncomfortable. Like the rest of the patterns we are making up though, this trouser pattern is the building block on which any pair of toursers, jeans etc can be designed. Once the trousers were fitted and adjusted, they too were transferred to cardboard. At this point, each person decided on what they wanted to do. 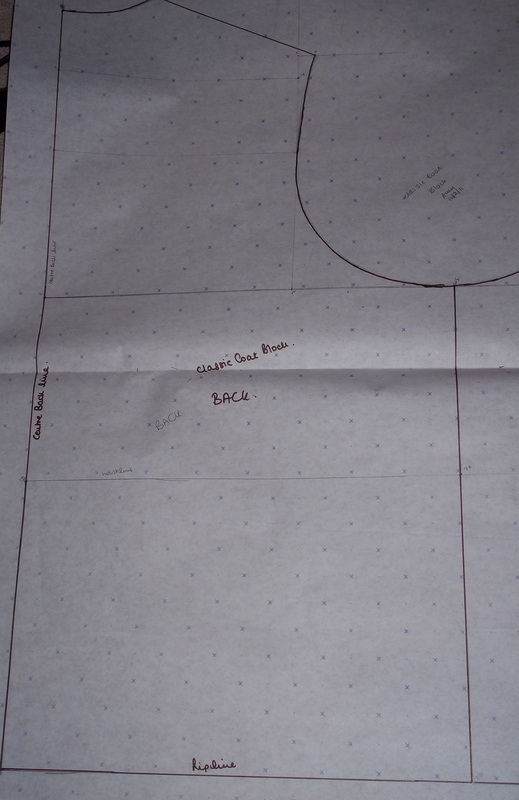 I really wanted to know how to make a coat block, as I am dying to make a lovely long winer coat which I had already sketched out. Like the rest of the blocks we made, this one too came from the book. 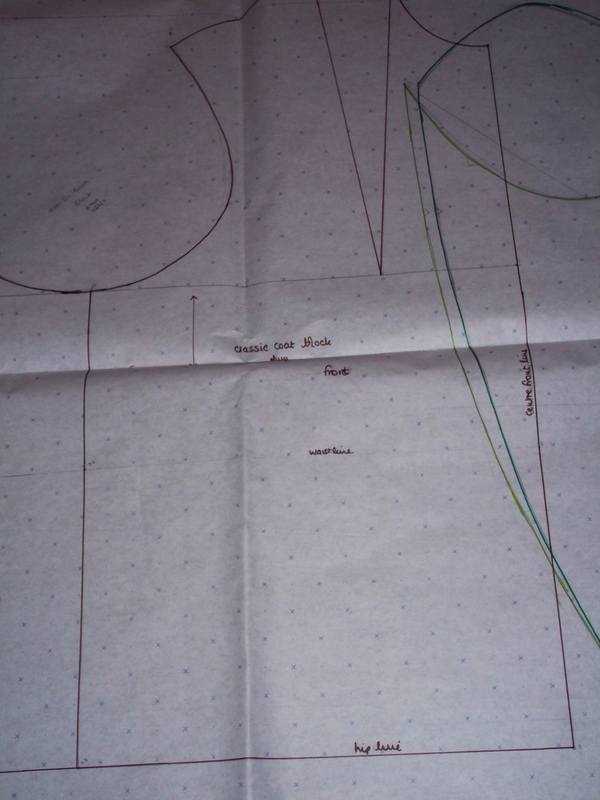 Alison measured me and we set off again about following the instructions laid out in the Metric Pattern Cutting for Ladies Wear book. The beauty of the course, really, is that now I know how to make up one pattern, following the instructions in the book should be a real breeze. There are some instructions, however, which don’t quite match up – as Alison was telling us – and so it is good to keep an eye on the accompanying diagrams to see what your draft should look like. After lunch I made up and fitted the coat, adjusting it as necessary (don’t forget the seam allowance!) although not many alterations were needed. So, as the last piece of work I did there, here is the coat block – the master copy, as I didn’t quite have enough time to make a cardboard version in the class – on which my coat will be based! The rest of the day was spent cleaning up the mountains of paper work, cardboard, thread and God knows what else that we had built up during the week. Being as organised as possible, I brought with me an A1 art folder and some As/A4 folders to store all my pattern pieces. There’s nothing like keeping an organised sewing room, as Gertie will tell you! I hope you’ve enjoyed hearing about the pattern drfting course and I hope it inspires you to go on and do some yourself. 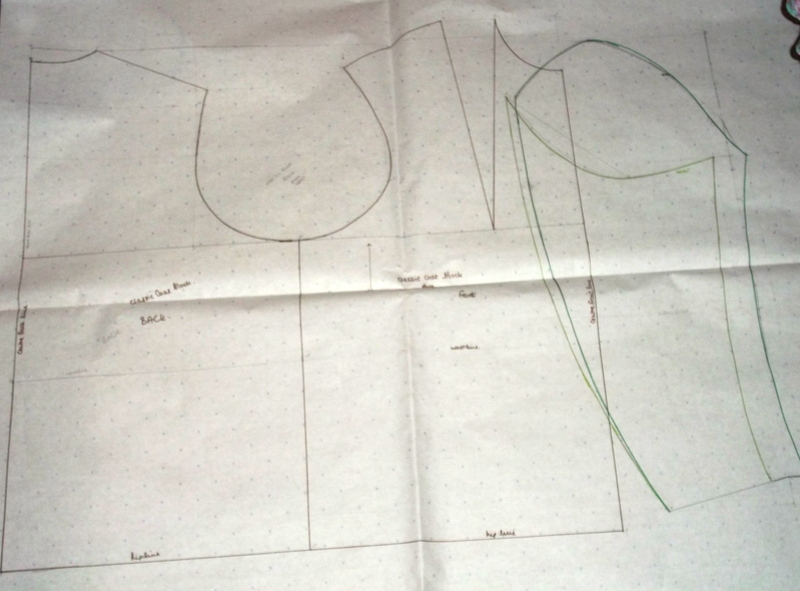 You will need a good understanding of how patterns work, but I’ve only been sewing for about 4 years (well, properly) and none of it was over my head at all. So long as you think logically about what you’re doing and visualise each step in the process you’ll be fine! It also helped me understand ready made patterns, as it were, and the role all the markings etc have to play, and to understand where each pattern piece evolves from. 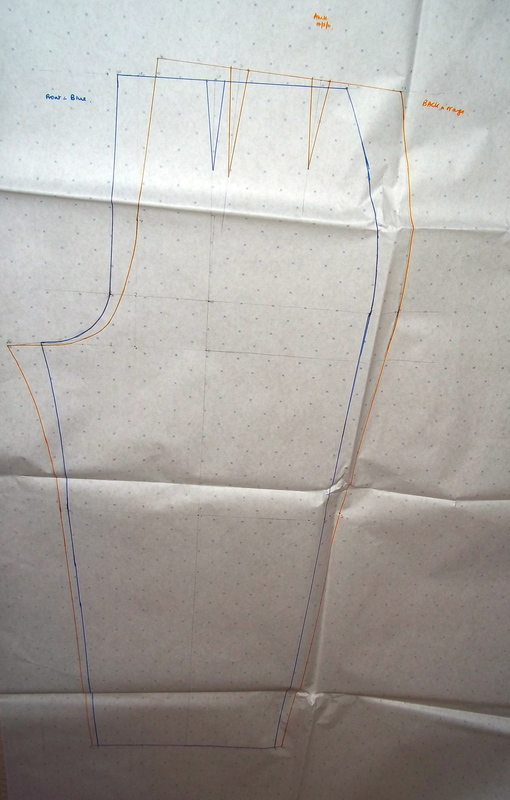 It also shows you why the patterns can be so expensive, with all that drafting and redrafting until they’re right. I thoroughly enjoyed my time at Alison Victoria and I would recommend both Alison as a teacher and the school to anyone!